I’m sure you’ve heard of Bitcoin by now. 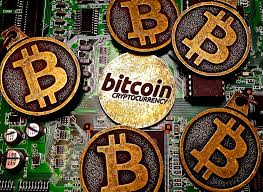 Bitcoin is electronic currency that was created in 2009. It is not regulated by any kind of government, and it provides anonymity to its users, allowing them to make purchases in secret. 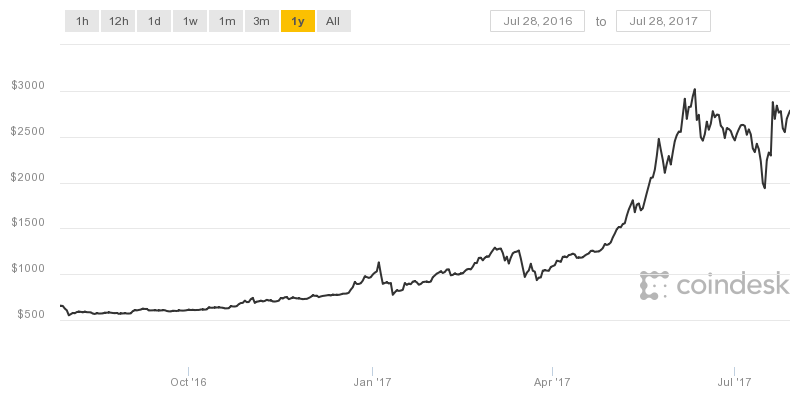 Bitcoin has had an incredible year. And the electronic currency isn’t going to slow down anytime soon. People are turning to electronic currency as a safe investment when their own currency is floundering, and that’s the exact reason that India is leading the current bitcoin craze. Earlier this year, Bitcoin.com wrote, “the Indian government suddenly withdrew the country’s 500 and 1000 rupee bills from circulation. Now, bitcoin is experiencing a knee-jerk reaction among citizens concerned about their financial integrity.” At the time bitcoin in India was trading at 13% more than the average bitcoin price. Many analysts didn’t think the trend would last, but as you can see, Bitcoin isn’t slowing down. The threat of a hard-fork in the Bitcoin blockchain — essentially a schism in how Bitcoin programers think the digital currency should work — gave the price yet another boost, even as the market remained unsure if it would happen at all. But there’s something many people haven’t thought of. It’s called Fintech, and without it, Bitcoin couldn’t exist. Fintech is anything that’s used in the financial sector that’s a technological advancement, such as electronic currency, or blockchain technology (a kind of digital ledger that records various electronic currency transactions). Electronic currency is the way to the future. Our children could be growing up in a world where they know nothing else. According to an article in the Financial Times, many countries around the world are looking into adding electronic currency to their financial sectors, and without Fintech, none of these advancements would be possible. In the same Financial Times article, the author notes that even central banking systems are looking into incorporating Fintech into their daily business, as it would allow them to make connections with the more up-to-date financial institutions that are already using the technology. Technology has changed the world as we know it, and that includes the financial sector. You need to make sure you’re changing along with it. That’s why you may want to start considering investments in electronic currency. While it can be difficult to find a method of investing that is secure, we have two ways that you can invest in electronic currency, specifically Bitcoin, with confidence. Investing in Bitcoin is similar to investing in gold. While it's valuable to invest in gold stocks, it can be even more valuable, and more secure, to have some gold bullion on hand. Bitcoin is no different! There are a few ways you can invest in Bitcoin. You can use online resources like Paymium, which is an online bank that allows you to buy and sell Bitcoin on the European exchange. This is good for investors who want to buy small amounts of bitcoin, under 50 units. You can also buy and sell using the online resource CoinBase. This is a great resource because you can invest in electronic currencies other than Bitcoin, like Ethereum, and Litecoin. There is always some risk involved, of course. In the past, digitial currency exchanges have been hacked, so be sure to proceed with caution. The Bitcoin Investment Trust is an open-ended trust that is invested in Bitcoin, and gets its value specifically from the price of the currency. But you don't have to buy, sell, or store the Bitcoins yourself. The trust trades on over-the-counter markets, and investors invest in it like any U.S. security by buying and selling shares through most traditional brokers. The Bitcoin trend is still only at the starting line. Make sure you've got your piece as the cryptocurrency really takes off!